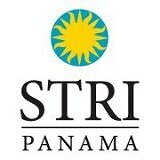 With the support from USAID and the Smithsonian Tropical Research Institute, Amphibian Ark held the Amphibian Conservation Training for Latin America’s workshop in Panama last April. Twenty seven participants from Chile, Colombia, Guatemala, Ecuador, Mexico and Panama shared experiences and information about design, implementation and husbandry of ex-situ amphibian conservation programs. The main goal was to guide amphibian conservation programs in Latin America to the next level by successfully caring for and breeding endangered species in captivity, population management and developing an exit plan with possible reintroduction methods. 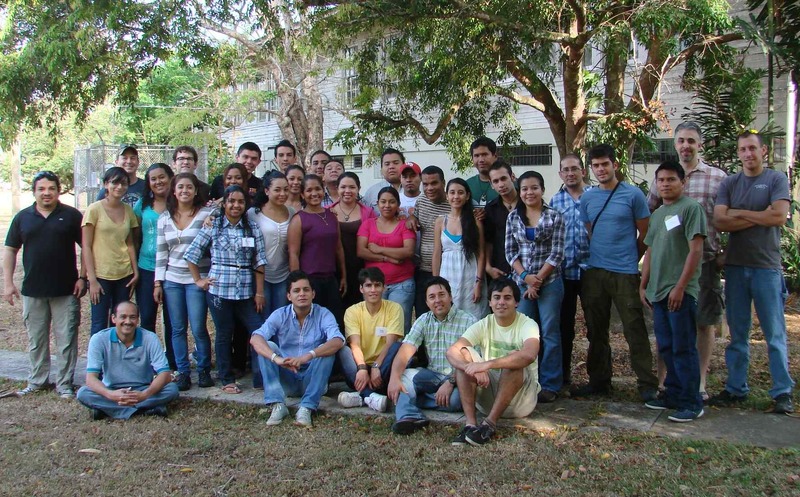 Participants and instructors from throughout Latin America at the recent Amphibian Ark training workshop in Gamboa, Panama. Participants: Dalina del Carmen Cosme, Abbileth González, Diana Troetsch, Rigoberto Diaz, Lanki Cheucarama, Nahir Cabezón, Humberto Membache, Francis Torres, Javier Jara, Ana Gabriela Castillo, Maykell Morales, Mireya Dimas, Marta Torres, Erick López, Elida Leiva, Camilo Londoño. Jose Alfredo Hernández, Leiza Torres, Juan Daniel Jaramillo, Diorene Smith, Diego Villaquiran, Osvaldo Cabeza, Diego Medina, Didier Ramos, Andy Pascual, Marcos Ponce y Benjamin Walker. Participants received intense theoretical and practical training from some of the best amphibian specialists in the region. Amphibian crisis, species status, medical issues and veterinary care, food culture, daily husbandry and biosecurity standards were some of the subject discussed, complemented with group projects and nocturnal field trips around Parque Nacional Soberania. We thank Ron Gagliardo, Amphibian Ark Trainning Officer; Luis Carrillo, Diego Almeida Reinoso, Brian Kubicki, Brad Wilson VMD, Eric Baitchman VMD, Edgardo Griffith, Roberto Ibanez, Jorge Guerrel and Angie Estrada for donating their time and sharing all their knowledge and experience. And to all the participants for their interest, enthusiasm and work on amphibian conservation.